The serious study of English grammar owes much to a Latin grammar book, William Lily's "Grammaticae Rudimenta", first published in 1534 and later authorised by Henry VIII as the only Latin grammar book to be used in schools. In 1586 William Bullokar wrote his "Bref Grammar for English" which he modelled closely on Lily's Latin Grammar. One of Bullokar's main aims in writing the book was to make possible for students "...the easier coming to the knowledge of grammar for other languages". Bullokar's "Bref Grammar" is the earliest known grammar of English. The Dutch tradition of producing English grammars started in the same year with Thomas Bassoon's publication of "The Coniugations in Englische and Netherdutche". One of the greatest writers of all time, William Shakespeare, played an important role in the development of English. Many words and phrases from his sonnets, plays and poems have been accepted into the language, enriching it. The first English dictionary, "Table Alphabeticall", was published at the beginning of the 17th century, together with the "Authorized Version of the English Bible" (the "King James" Bible). Many of the conventional ideas about style and grammar which survived into modern English were established at this time. The increasing importance of commerce as seen in the establishment of the East India Company and the British Raj in India increased the influence of Britain and the English Language in the world. By the end of the 17th century, 16 new grammar books had been published since the appearance of Bullokar's "Bref Grammar". In 1762 Robert Lowth, Bishop of Oxford and a well-known grammarian of the 18th century, published his work on English grammar, "A Short Introduction to English Grammar, with critical notes". 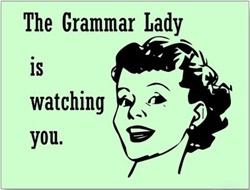 That started the age of prescriptive grammar. Just a few years later the "Declaration of Independence" was signed, and America became the first country outside the British Isles to use English as its principal language. Soon, Noah Webster’s "American Spelling Book" was issued. The 19th century saw the beginning of the argument between the two schools of thought, one insisting that the rules of Greek and Latin grammar could be applied to English, the other insisting that English grammar could be studied in its own right. Lindley Murray, the author of one of the most widely used grammar books at the time, strongly supported the idea that the grammatical cases in English are different from those in Ancient Greek or Latin formulated in the works of Dionysius Thrax, Protagoras, Plato and Aristotle. While scholars in England were struggling to modernise the study of grammar, John Pickering compiled the first dictionary of Americanisms in 1816. The rapid development of technology and communication also contributed to the dissemination of English. It was during this century that modern English language studies became systematized, and that spoken English began to be studied scientifically. In 1879 James A.H. Murray began editing the Philological Society's "New English Dictionary on Historical Principles", later renamed the "Oxford English Dictionary". According to the Guinness Book of World Records, nowadays the Oxford English Dictionary is considered to be the world's most comprehensive single-language print dictionary. In the 20th century, the English language continued its rapid development and codification. In 1926 Henry Fowler introduced the first edition of "Dictionary of Modern English Usage", while Hendrik Poutsma published his well-known "A Grammar of late modern English", thereby continuing the Dutch tradition of writing English grammars. A very large number of words have continued to be added to English vocabulary. The majority of these words had Greek and Latin roots, while many came from the languages of the British colonies. During the 1950s the number of speakers using English as a second language exceeded the number of native speakers. Today, English grammar and pronunciation significantly differ from those a century ago. This trend will certainly continue in the future, and one can only guess at how English grammar and pronunciation will sound in the next century. How Does Texting Influence The English Language? Fancy Learning Some British Slang?